Expect to find local products on sale at Chandos Deli. 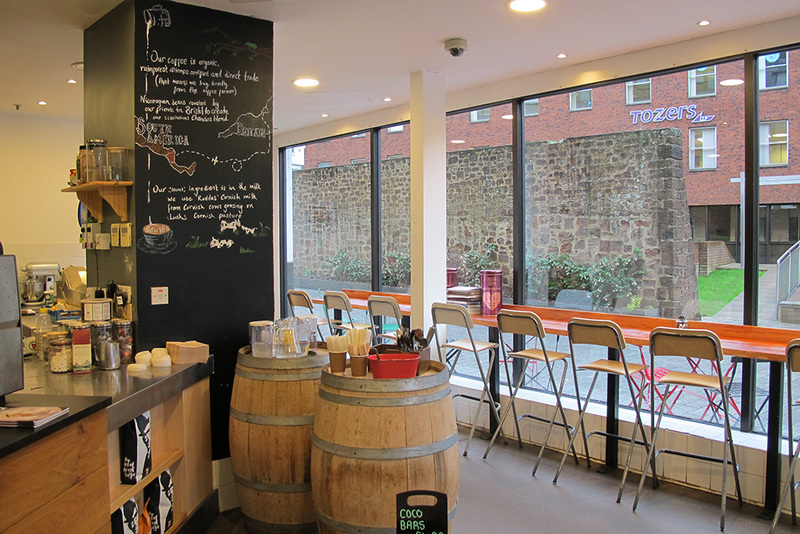 There’s Exeter’s premium roastery, EXE Coffee Roasters, that sells its Neighbourhood blend here. 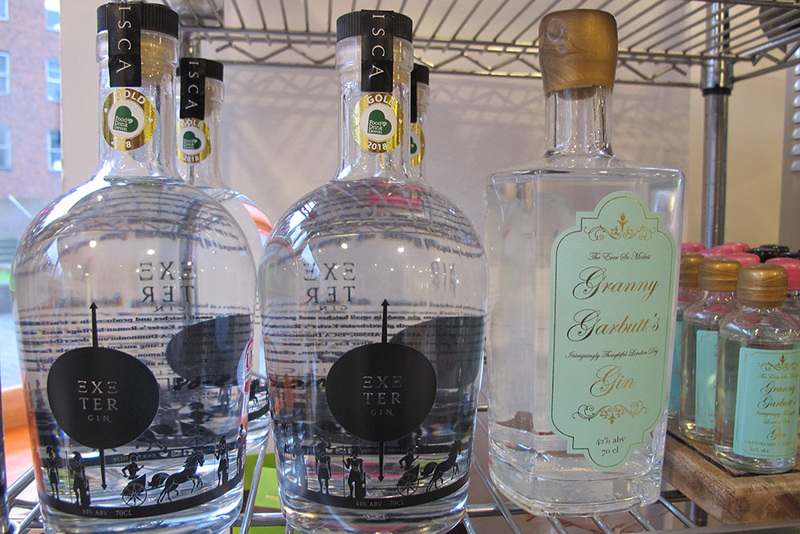 Exeter Gin and Granny Garbutt’s Gin, made in small batches, are in stock and make great gifts. Plus, the Pennsylvania honey comes from a stone’s throw away in a suburb of Exeter. 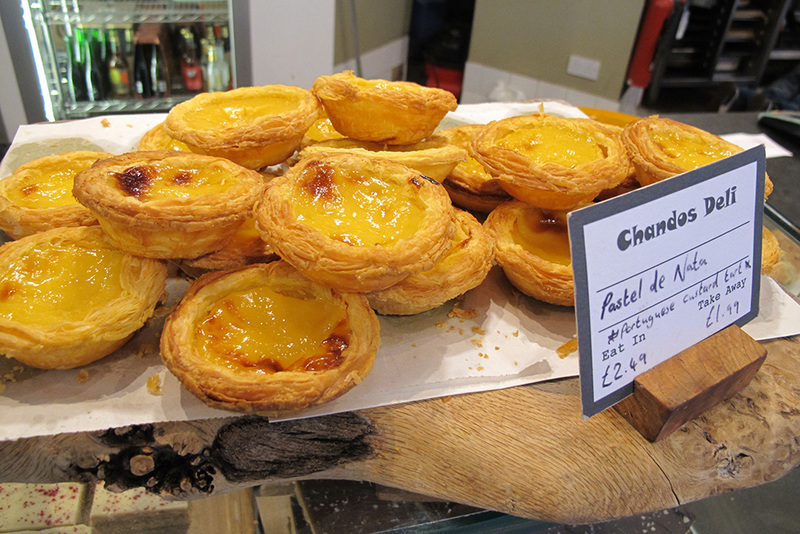 In the mornings, come relax in the café and enjoy a coffee and Pastel de Nata for £2.99 (the deal is on weekdays before 12 midday). 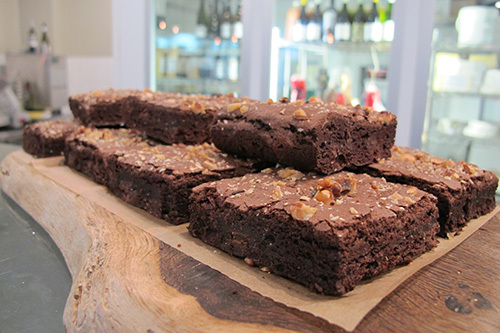 There are also fantastic homemade bakes rolled out on the countertop daily, such as vegan, gluten-free brownies. Made in Devon, the organic Ashridge cider is a real thirst quencher – pick up a bottle next time you pass by. Staff recommend Smith & Evans sparkling wine made from grapes in the brand’s Somerset vineyard – you should always have a chilled bottle in the fridge ready for special occasions.